Self-organisation (self-optimisation, self-configuration, and self-healing) methods are a promising concept to automate wireless access network planning, deployment and optimisation. This paper contains a mind setting exercise. 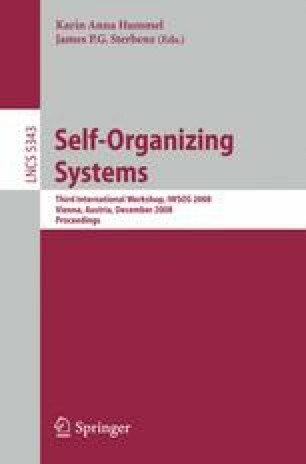 First the mechanisms for which self-organisation is anticipated to be effective and feasible are identified. Then technical and non-technical requirements that need to be taken into account for the successful development of self-organisation functionalities are discussed. Furthermore, a set of metrics and appropriate reference cases (benchmarks) are presented, which allow to do on one hand a quantitative comparison of the different algorithms developed for a given use case, and on the other hand to evaluate the gains from self-organisation by comparing self-organisation solutions with the case of manual network operations. This paper was written in the context of the SOCRATES project, which is funded by the European Union within the 7th Framework Program and will run from 2008-2010. The views and conclusions contained herein are those of the authors and should not be interpreted as necessarily representing the SOCRATES project.